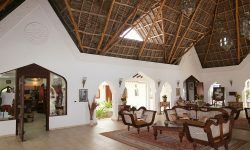 Sultan Sands Island Resort has a total of 76 rooms built in traditional African ‘rondavel’ style, with two rooms in each rondavel. 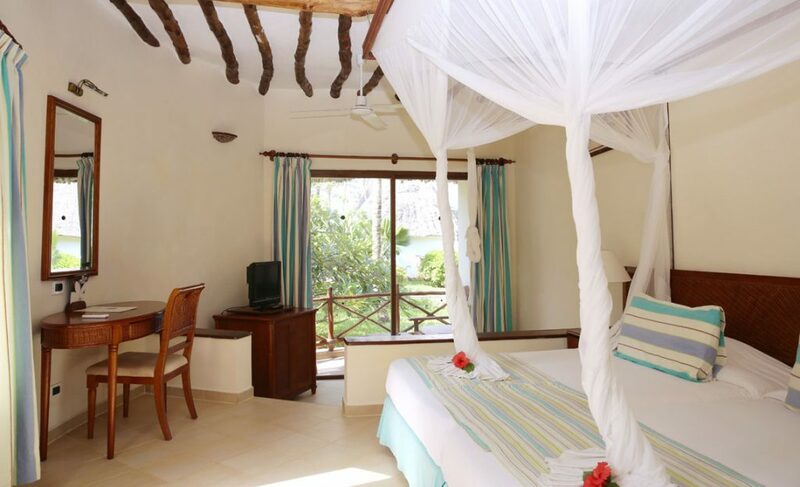 All rooms offer a spacious bedroom with separate dressing area, an en-suite bathroom and either a verandah or balcony. 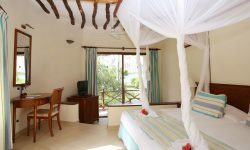 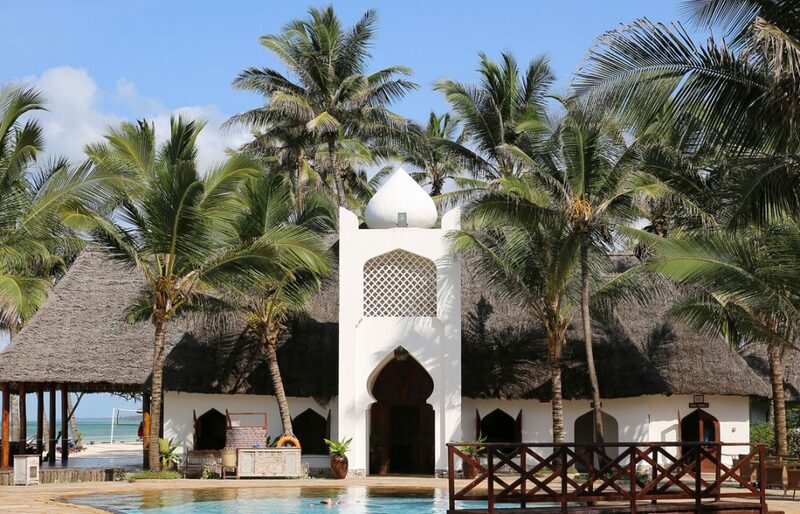 The rooms are bright and exquisitely decorated in a traditional Swahili style using local fabrics. 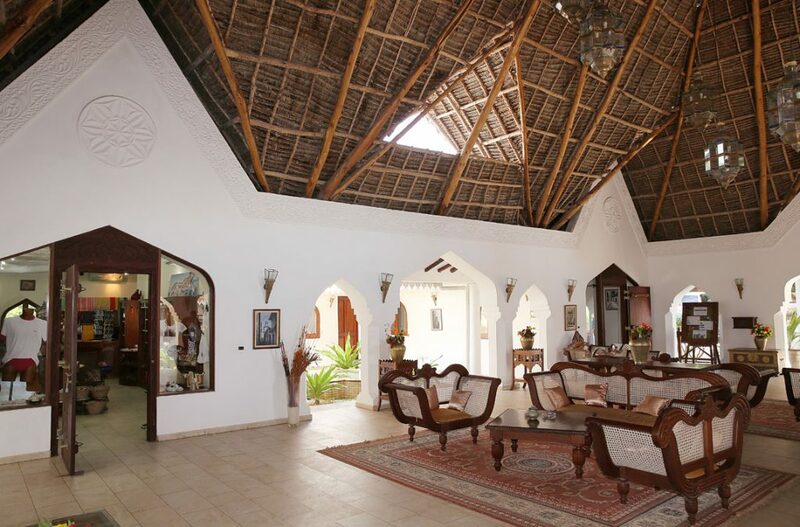 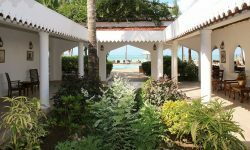 Situated on elevated grounds in landscaped gardens facing the Indian Ocean. 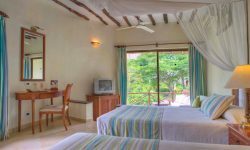 The Pwani Rooms also feature an additional sofa-bed. 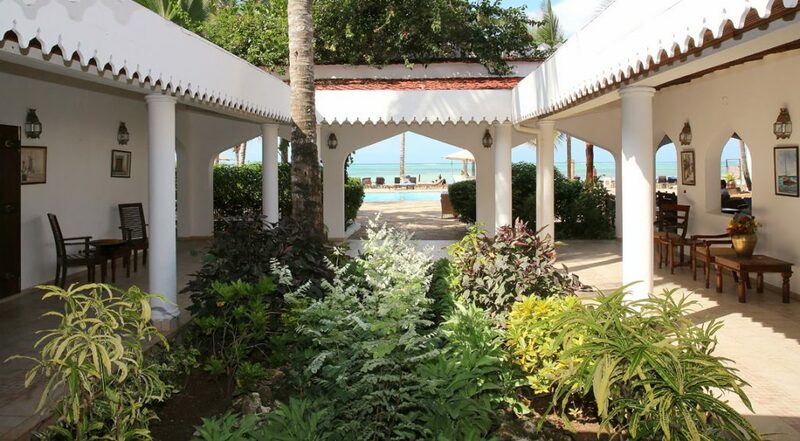 All sea-facing and situated at the beach. 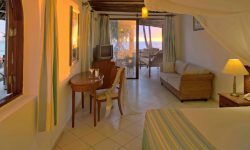 The Bahari Rooms have their own private plunge pool. 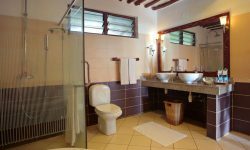 , Telephone, Smoke detector & fire alarm . 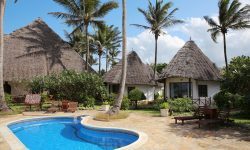 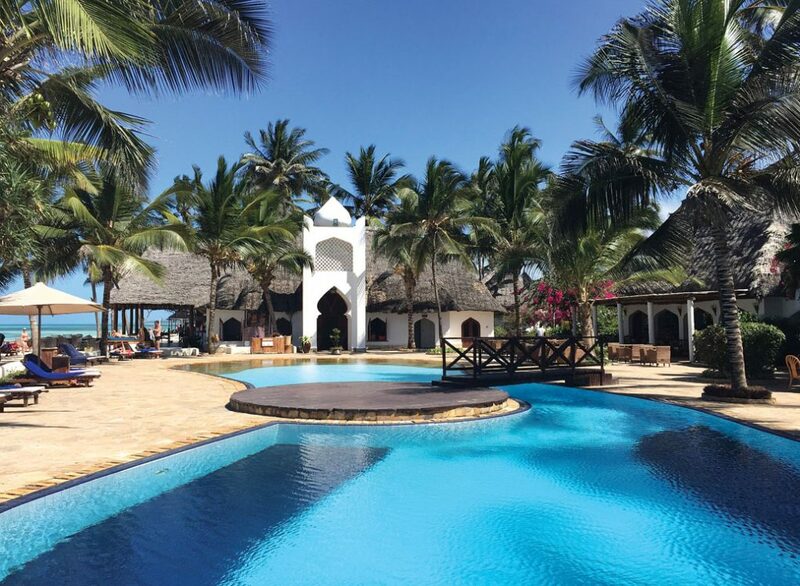 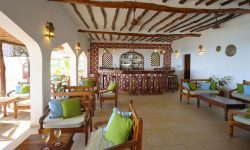 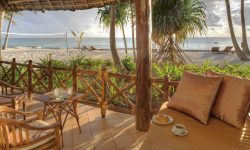 The Mwambao Restaurant enjoys magnificent views over the swimming pool to the ocean beyond where main dining facility at the Resort where breakfast, lunch and dinner are served, depending on the meal plan. 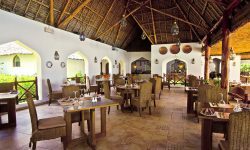 Guests enjoy 15% discount on à la carte meals at Kivuli and Bahari Restaurants Dinners include a variety of dishes from ,Oriental, African, Arabian and Kiwengwa Seafood BBQ. 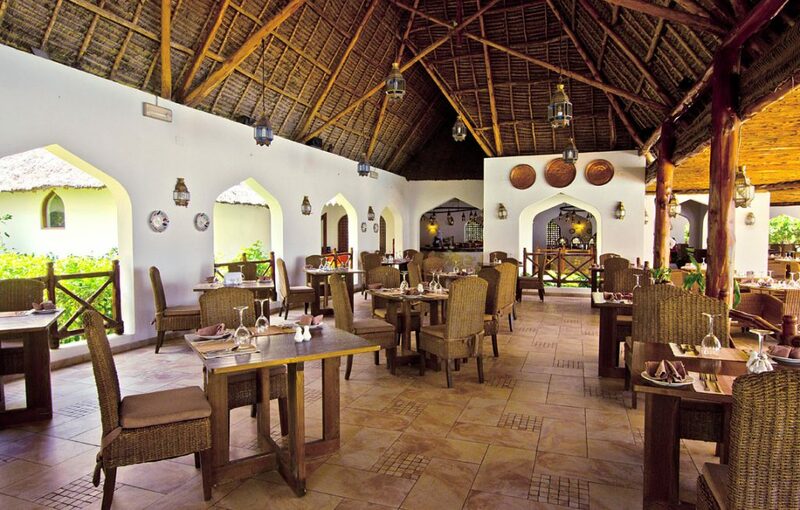 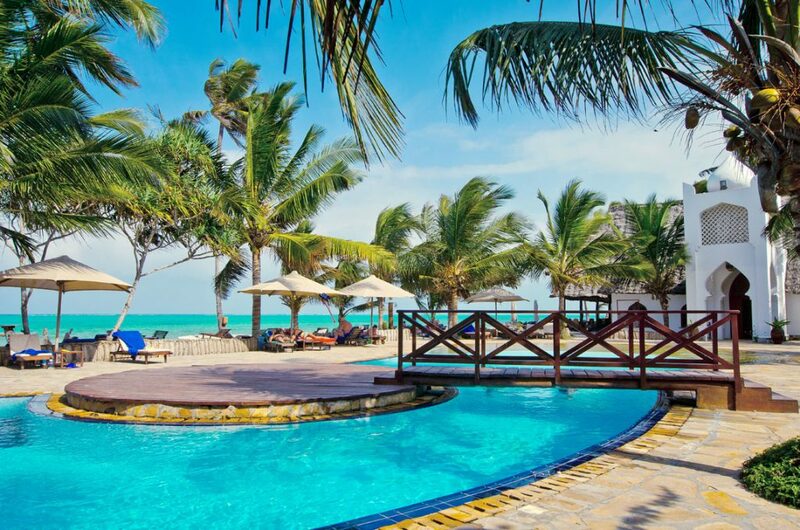 Guestst can enjoy live music from the resident band,offering traditional Zanzibar dancing known as ; Taarab Music; acrobats; and other local performances. 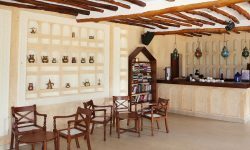 Dress code: smart casual. 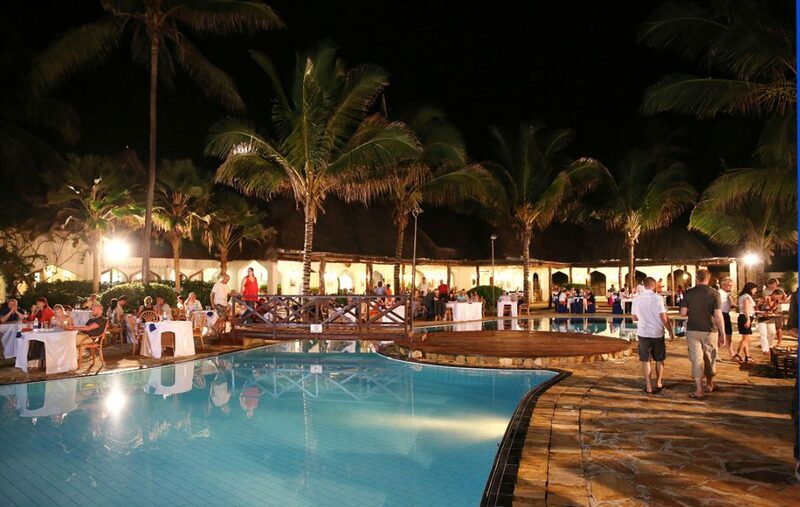 Gentlemen are discouraged from wearing shorts at dinner. 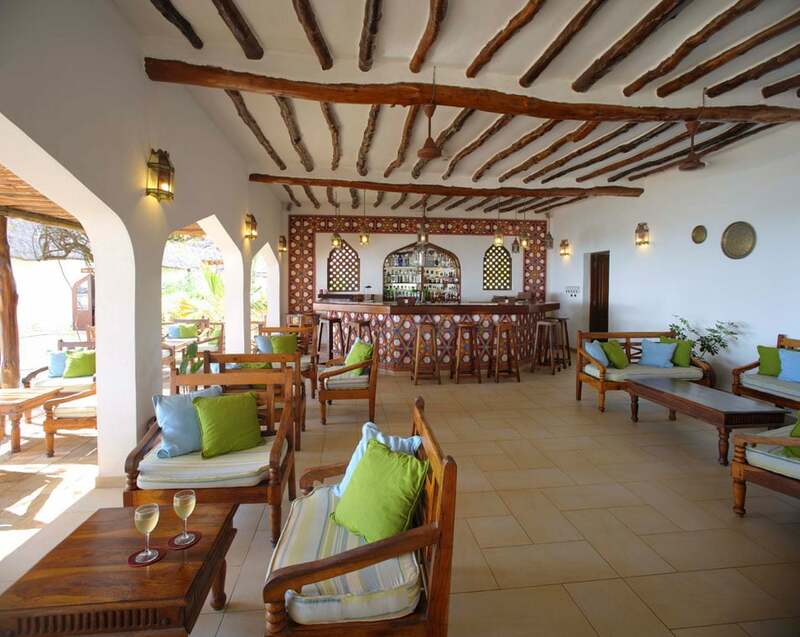 Overlooking the swimming pool, beach and the ocean beyond, this is the perfect venue to enjoy a range of beverages and cocktails. 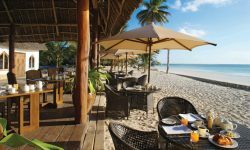 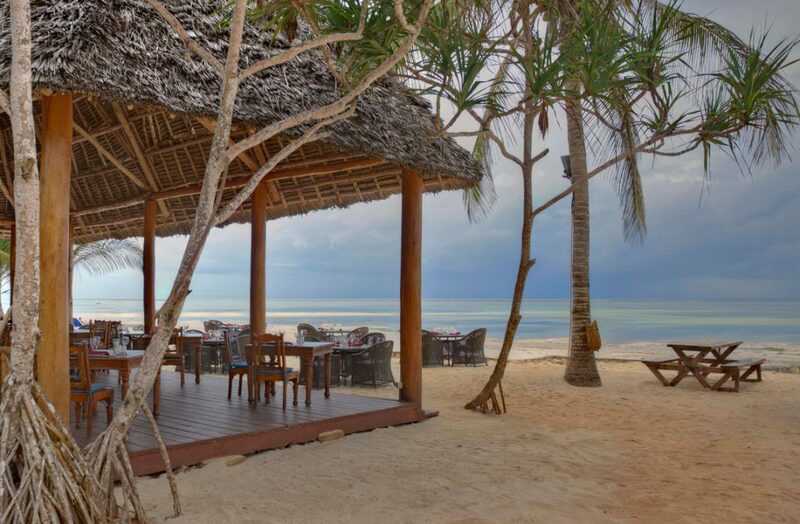 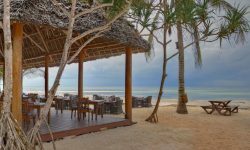 Specialising in Far Eastern Fusion cuisine, Kivuli is located on the beach offering ‘toes-in-the-sand’ à la carte for either lunch or dinner. 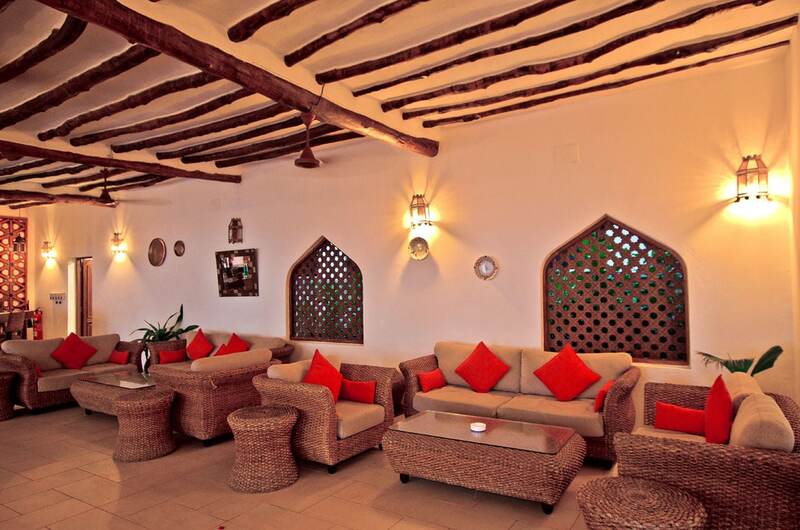 Lounge adjacent to the Sultan Sands pool. 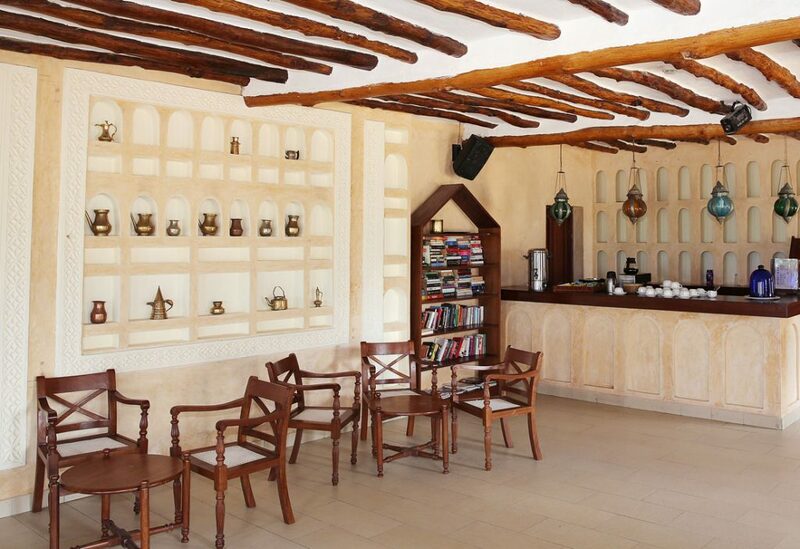 WiFi is free of charge in all public areas. 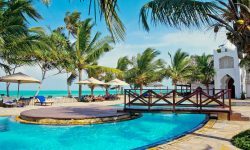 Guests can enjoy a range of water sports and other activities which can be arranged at the Recreation & Water Sports Centre including: Big Game Fishing; boat trips & dhow cruises; windsurfing; and beach sports. 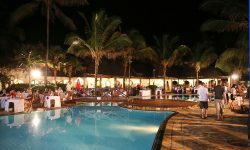 There is also a children’s club* (Toto Club), floodlit tennis court; table tennis & pool tables; and a fully equipped gymnasium. 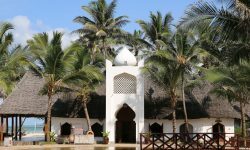 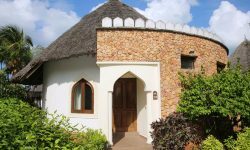 A wide choice of excursions and day-trips are also available, including: Stone Town Tour; Spice Tour; Jozani Forest; and Prison Island. 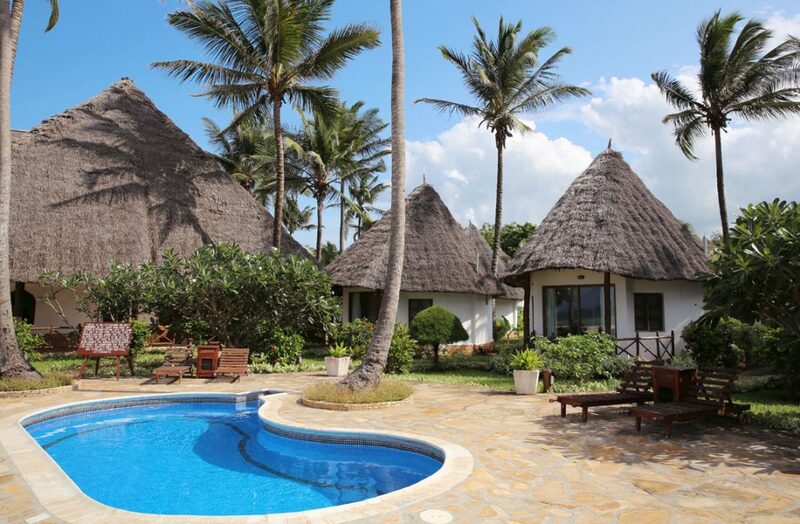 The Oasis Spa is situated at Bluebay Beach Resort & Spa. 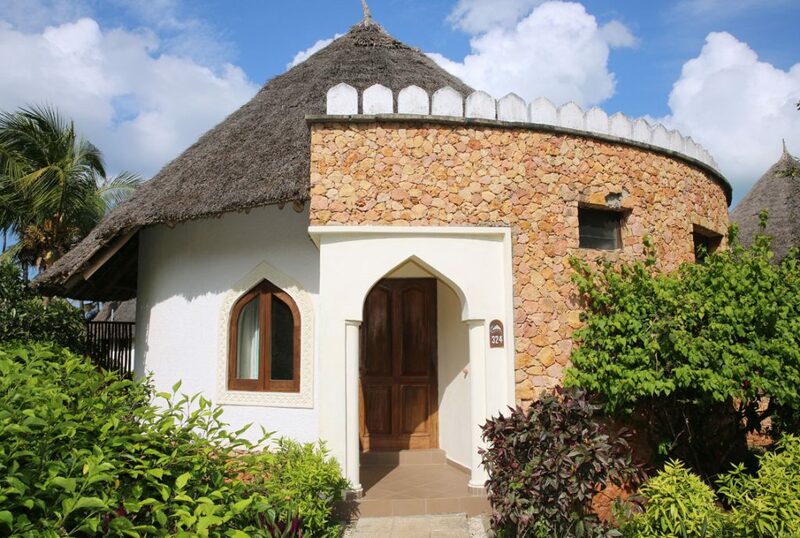 The experienced staff offer an impressive range of treatments – ideal for massages, de-stressing and rejuvenation. 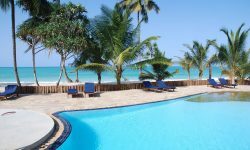 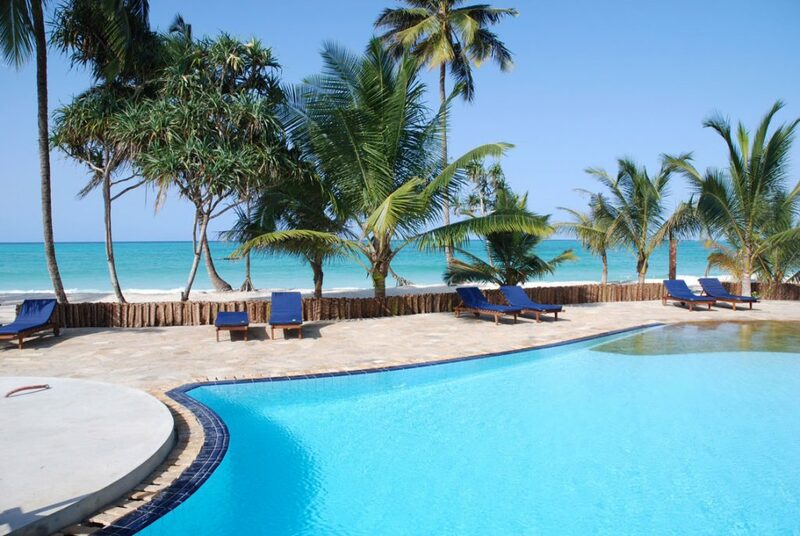 Bluebay Beach Resort & Spa is the home of the One Ocean Dive Centre, Zanzibar’s leading and longest established 5-star PADI dive centre. 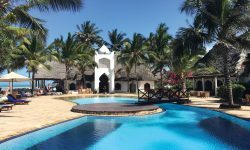 Airport transfers; Guest Services; two boutiques; Kid’s Club; babysitting; wedding planning; honeymoon packages; conference room; business centre; groups & incentives planning; private parties; banqueting; on-site nurse; WiFi. 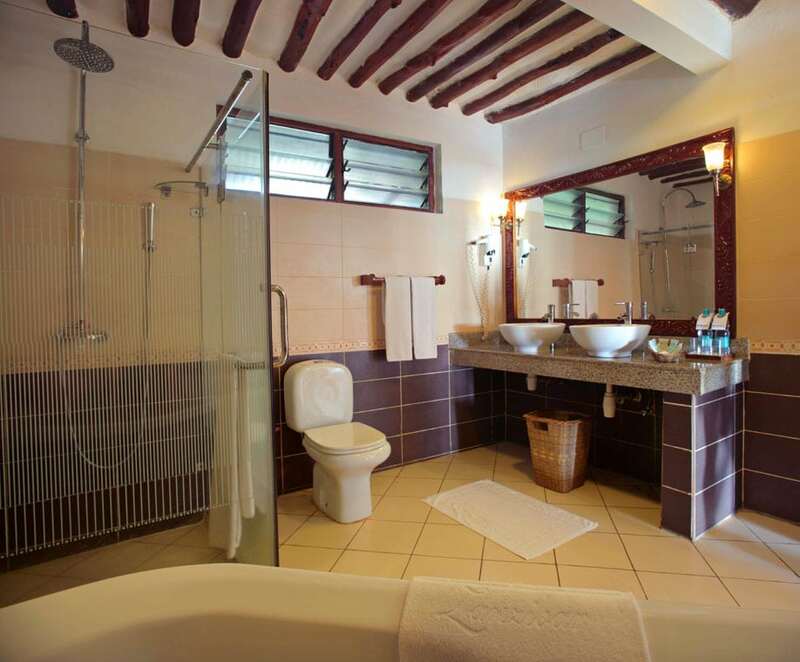 Perfect for families and couples .